Viktoria K. Majestic is a classically trained, Hungarian-American fine artist, currently living in North Carolina. She studied art both in Europe and in the United States. Her work can be found in collections throughout the US and abroad as well. As an artist she has been largely influenced by the works of Zorn, Sorolla, Sargent, Levitan and a few contemporary masters. Majestic grew up in a small European town, where her interest in art and nature was formed at an early age. During her childhood, most of the time she could either be found in the countryside exploring nature, or indoors occupied by creating art. It wasn’t until graduating from college with a business degree, that she has come to realize how much she misses art and decided to pursue it as a career. Following this life changing decision, Viktoria established her own mural painting business, and worked as a mural artist for nearly a decade. Eventually, an incapacitating back problem forced her to change course. She couldn’t imagine giving up painting, so she set out to search for an alternative. Traditional oil painting seemed to be the best fit, which lead her to dedicate several years to formal training in classical oil painting.She spent 4 years at the Ridgewood Art Institute, receiving instructions from John Phillip Osborne & Danielle Wexler master artists, and took portrait painting classes at the prestigious Art Students League of New York with Leonid Gervits and Jordan Sokol. Over the years, Viktoria started to teach representational painting herself, passionately passing on her knowledge to her students. 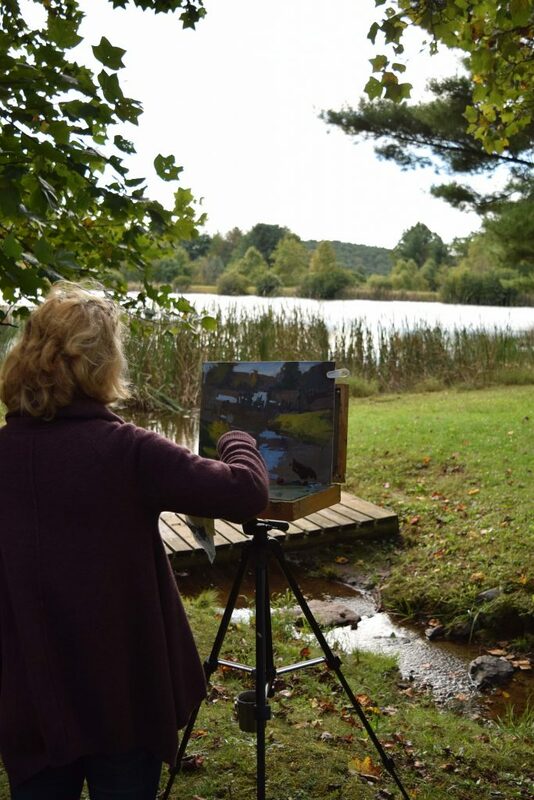 She is a member of Oil Painters of America, Muddy River Art Association and she is an elected member of the American Artists Professional League, where she also serves as a director on the national board.